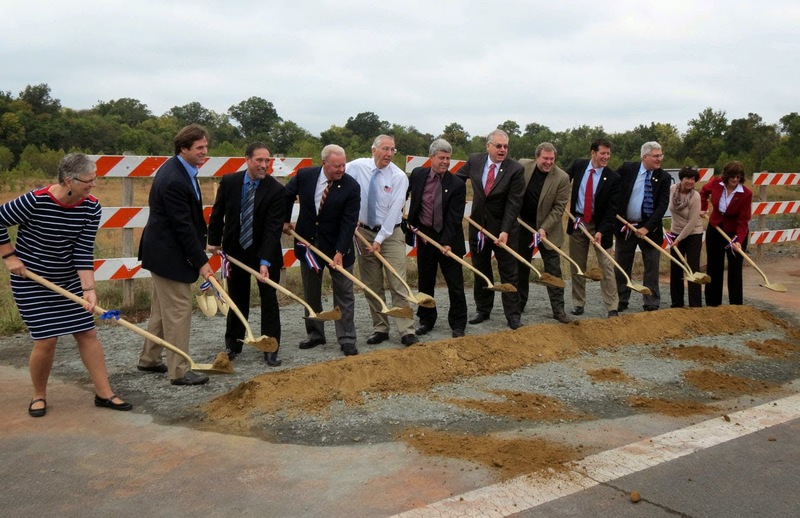 Members of the Loudoun County Board of Supervisors and Loudoun County government staff joined with representatives of the Virginia Department of Transportation and other officials today, Tuesday, Sept. 30, in a groundbreaking ceremony for the Gloucester Parkway Extension project. The $40 million project will extend Gloucester Parkway from Loudoun County Parkway to the intersection of Pacific Boulevard and Nokes Boulevard. The project is scheduled to be completed in August 2016. Posted by admin at 5:55 PM Labels: Gloucester Parkway, Loudoun County Board of Supervisors, Loudoun County Parkway, Nokes Blvd.